We encourage you to seek out networks that can support you. There are a number of local and thematic networks which all have something different to offer so please take a look below. At a Greater Manchester level, GMSEN is here to showcase SE activity across GM and connect SEs with opportunities, to identify and map the eco-system of support for SEs in the city region, provide signposting to networks and support that exist and to encourage the development of support in places and thematic areas where it is lacking. This list is just a start and is growing - If you know an SE network in Greater Manchester that's missing, let us know. Also, get in touch if you don't see something that suits you. There may be another network or group we can link you in with or people who can advise you on how to set up your own! Antz Network are a network of Business Charities & 3rd Sector organisations working together to deliver Social and Business impact in local communities. They provide support for companies and charities of all sizes. The Big Heart Network: the first North West network dedicated to pumping PR and marketing skills into your charity or social enterprise. Are you an entrepreneur or passionate to make a difference? Interested in social impact and sustainability? Salford was the first registered social enterprise place in north-west England. Throughout the year and across our Social Enterprise City of Salford, we hold regular gatherings to support people who are starting or growing a social enterprise. 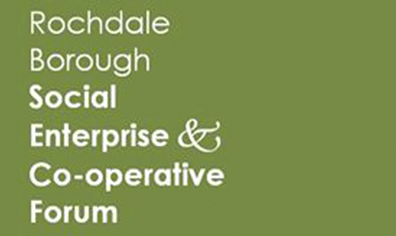 A friendly, informal peer-to-peer network group for the Social Enterprise community in the Wigan Borough.